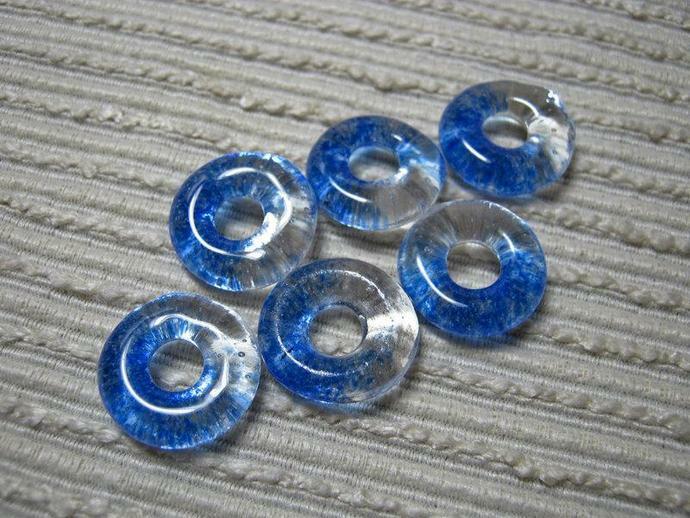 THIS SET OF 6 BLUE HANDMADE ROUND GLASS BEADS are created by layering transparent clear, and blue glass frit into a mold and then melting to 1425 degrees in a glass kiln. 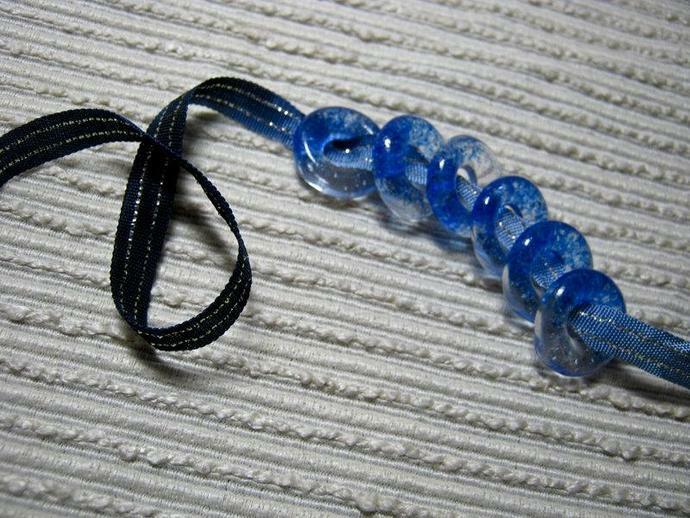 Beads are approx. 5/8" in diameter with a 3/16" hole. Available in a Rainbow of colors. 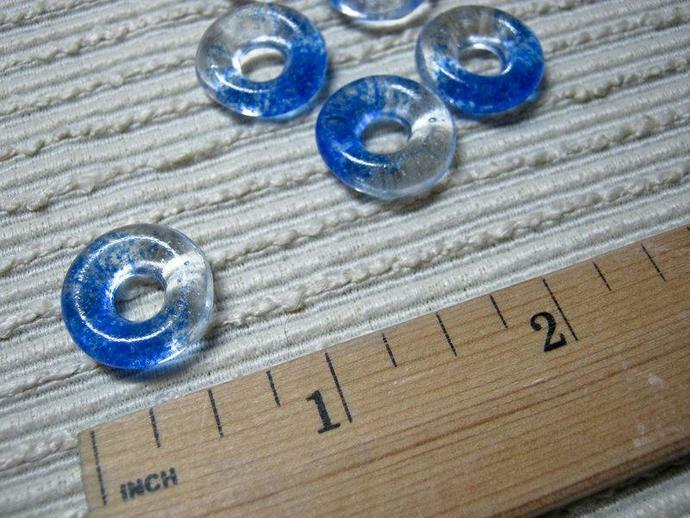 THESE HANDCRAFTED BEADS are great to use in a necklace, pendant, earrings or other crafty creation. 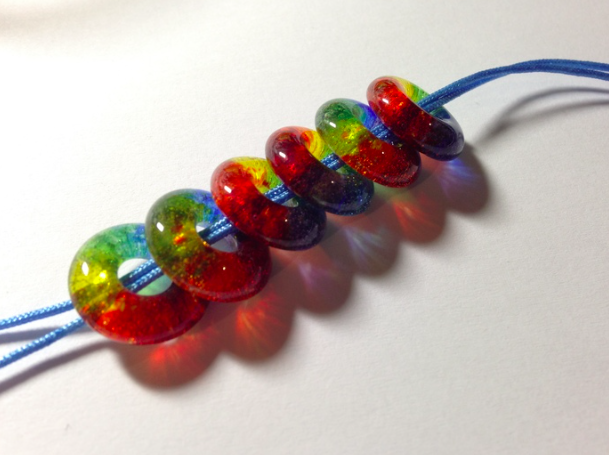 They are silky and smooth to the touch on one side and delicately textured on the other side...great for use as a tactile meditation tool to counteract any worries. WANT MORE? If you would like more for a special project, I will be happy to make them for you. I can even create custom blends for you in a variety of other colors. I can also make them square. 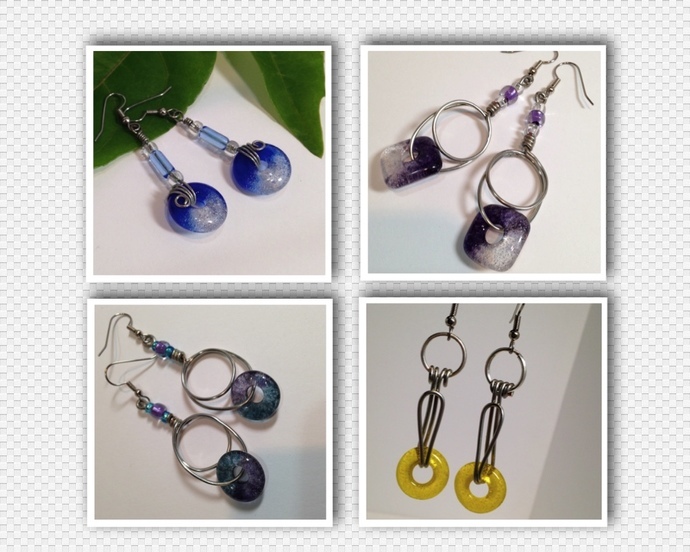 Custom orders, depending on how many you order, require about a week to create and ship. Please 'contact the owner', if you need more than what is offered here or a custom blend.